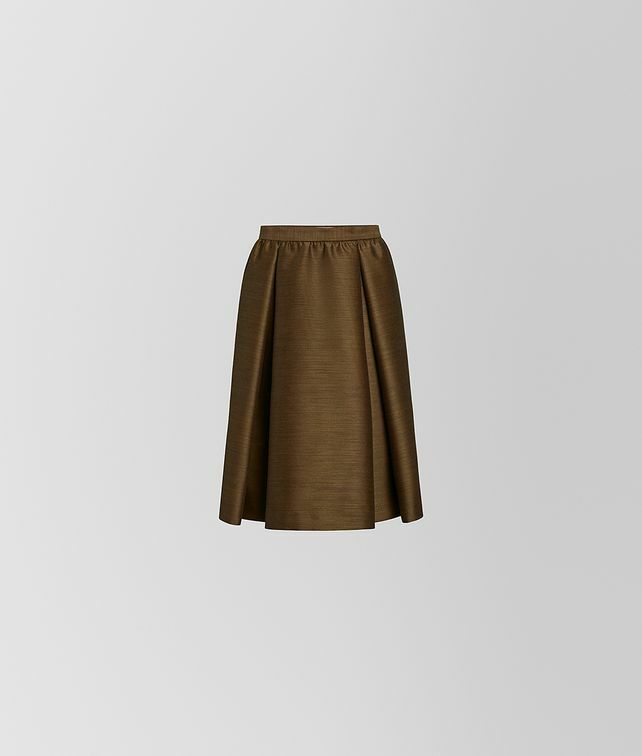 This richly hued skirt is made in a sophisticated blend of silk and wool in a “fil a fil” weave that gives the fabric a beautiful texture. The skirt, featured in the Cruise 2019 presentation, is designed with inverted box pleats for a full, voluminous look. With a hem just above the knee, the style pairs beautifully with the collection’s knee-high boots. Wear it as a separate or with the matching, cropped jacket.